As a business owner you face challenges everyday. How do you drive new customers to your business? Can you retain the customers you already have? What can you do you open the product/service to a new audience? Social media is the answer to all of these problems. As the 3rd largest Social Media website in the world, Pinterest gives you an incredible reach to new customers. Not only this, but because of the visual nature of the site it gives you a great opportunity to flaunt your designs, something that other social media websites lack. Pinterest is one of the biggest social media websites in the world, but the real benefit to business owners and entrepreneurs is that when you post, it could possibly be seen by ANYONE on the network, even those who don't follow you. This is something which isn't really possible on most other social networks. That's why Pinterest is so perfect for newcomers, who haven't established strong social media profiles, or maybe have struggled to gain traction on other social media platforms. But Pinterest has a steep learning curve compared to Facebook and Twitter. That's because most of us are accustomed to how to use these networks, whereas Pinterest is a COMPLETELY different beast. When I first started using Pinterest I stumbled for months and made hundreds of mistakes....which is why I put together a guide to share my tips to help you NOT REPEAT MY MISTAKES, but to learn from them and accelerate your progress. Gaining the essential knowledge on how to use Pinterest, this guide will take you from a novice to an experienced user with a full plan of attack. 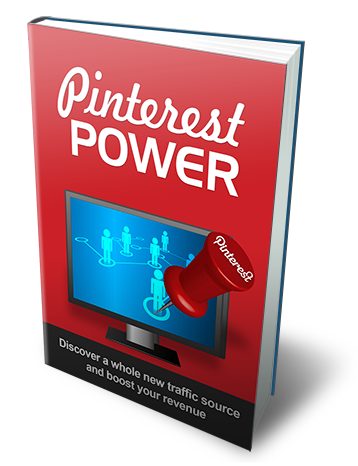 You can own Pinterest Power today for a mere $8.00. Did I mention this eBook is only $8.00? It’s definitely a point worth repeating. You will be hard-pressed to find a more valuable resource. Your purchase is absolutely risk free. Try the product for 7 days, and if you're not satisfied just send me an email and I'll send you a refund right away. So there's absolutely no risk on your part. All the risk is on me.